Albert Einstein was famously messy. The Nobel Prize–winning scientist quipped of his disorderly workspace, "If a cluttered desk is a sign of a cluttered mind, of what, then, is an empty desk a sign?" Given one of the world's greatest minds solidly endorsed clutter as a sign of greatness, does science itself follow suit? As it turns out, yes. A string of studies suggests creative geniuses favor a chaotic workspace. In order to debunk the myth that messy people are lazy, we did a deep dive into psychological studies that prove quite the contrary. As it turns out, messy people use chaos as creative fuel, challenge the status quo, and more. Don't ever feel guilty of your messy desk again. We're breaking down the top theories behind why unconventional, disorganized living just might be plan A. Keep scrolling for five science-backed reasons why messy people are smarter. A fastidious, stringent approach to neatness is often lauded as the desired approach to business. We love a great organizational hack or spring-cleaning binge. Embracing the messier approach to life isn't about naysaying organization; it's about empathy and open-mindedness. In a world where "cleanliness is next to godliness" is a common idiom, being neat is sometimes equated to being moral, while disorder equals sloth. "Messiness has been deemed variously a moral failing, a hallmark of laziness, a serious character flaw, or a hardwired human behavior," writes Richard A. Friedman, MD, in The New York Times. 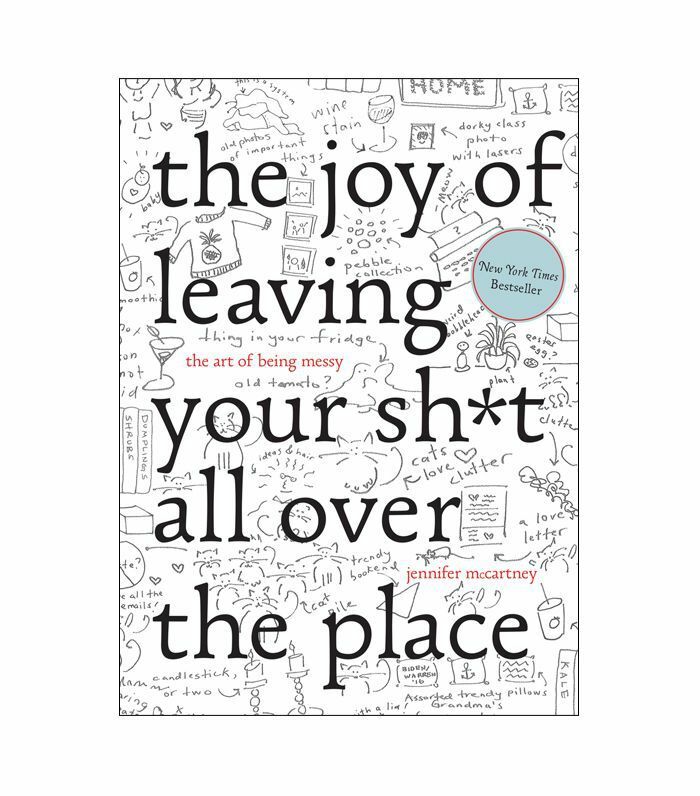 "Contrary to popular belief, messiness is not necessarily a sign of mental disorganization," says Friedman. "Nor does messiness seem to preclude productivity: Some of the most creative and prolific people are inveterate slobs." Dismissing the premise that a chaotic workspace is the mere result of an aversion to cleaning, we can now examine its practical use in the workplace. Does a certain degree of chaos add value? A 2013 study led by Kathleen Vohs at the University of Minnesota Carlson School of Management found that disorderly spaces ramp up creativity and innovation. By contrast, keeping the vibe neat and tidy appeared to "encourage convention and playing it safe." Authors J.K. Rowling, Mark Twain, and Roald Dahl all thrived in creative workspaces littered with notes, stacks of clutter, and random points of inspiration. The writers' frenetic, scattered desks might prove an effective methodology for creative problem-solving. In this sense, messiness becomes a physical manifestation of a willingness to defy convention and jettison from patterns. "From a young age, we are taught to feel bad about ourselves for being messy. Disorganized or unkempt people are frequently maligned by society," says John Haltiwanger of Elite Daily. "In the process, the hidden benefits of this quality are overlooked. It takes courage to embrace disorder, as it often requires accepting constant criticism and going against social constructs." In other words, messy people aren't wrapped up in the status quo. They're already bucking tradition. Odds are if you're messy, you've caught hell for it at some point in either your personal or professional life. I myself prefer a workspace unfettered by rules and order. While I've been known to make color-coded spreadsheets denoting activities for vacations, my writing space is consistently floating in a sea of reference, multiple laptops, cameras, and probably three to five cups of coffee at any given hour. It helps me think. "Disorderly environments seem to inspire breaking free of tradition, which can produce fresh insights," Vohs and her co-authors conclude in their study, and I can't even count the number of artists I personally know who prescribe to this theory. Another theory as to why creatives thrive in a chaotic environment might lie in an innate ability to tune out distractions. In other words, clutter doesn't disrupt their workflow because their brains systematically filter it out. "Many messy people are unconcerned or unaware of the seeming chaos of their local environment," says Friedman. "Like people with high pain thresholds who may not notice low-level pain, messy people may just not feel their space as keenly as neatniks." 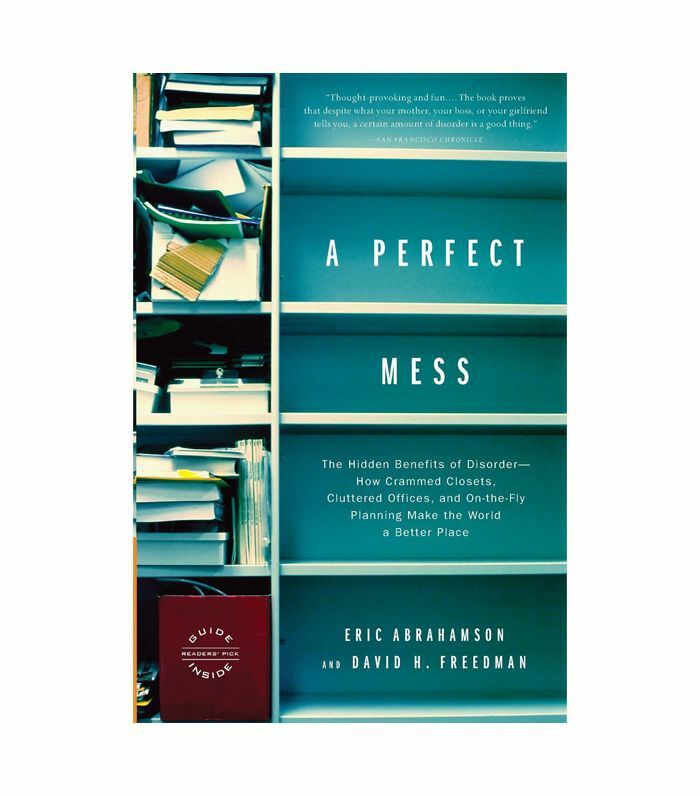 Eric Abrahamson and David H. Freedman, authors of A Perfect Mess: The Hidden Benefits of Disorder, hypothesize that mess has the ability to highlight priorities. "A messy desk can be a highly effective prioritizing and accessing system," they state. "On a messy desk, the more important, urgent work tends to stay close by and near the top of the clutter, while the safely ignorable stuff tends to get buried to the bottom or near the back, which makes perfect sense." Physicist Adam Frank states disorder is the natural law of the universe. Perhaps messy people are the lone salmon not swimming upstream. Instead, they're going with the flow. "Scientists first uncovered the laws of entropy back in the 1800s," says Frank. "Trying to squeeze the maximum efficiency from their shiny, new steam engines, they discovered a radical and somewhat depressing new cosmic principle. Taken as a whole, they found that the universe always moves from order to disorder, from low entropy to higher entropy. 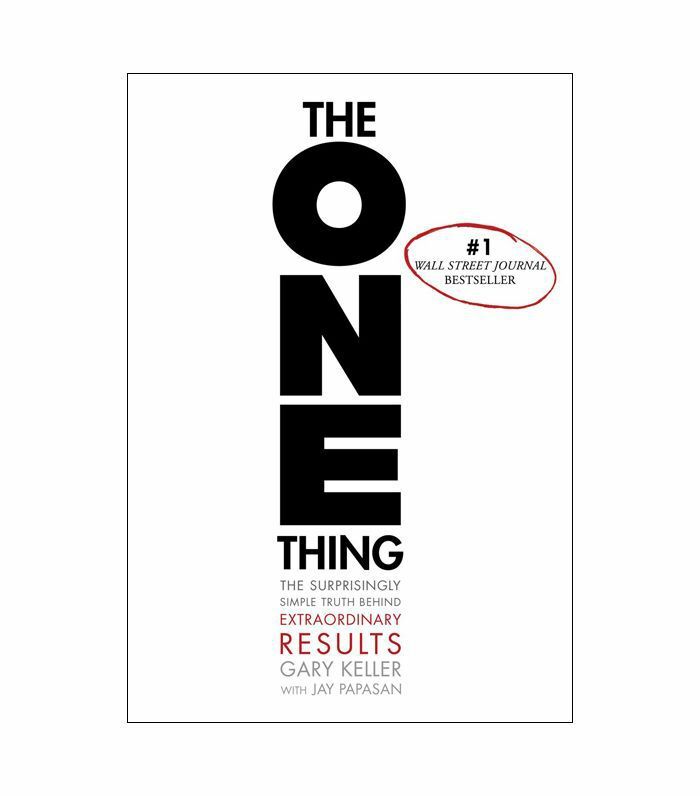 So while you might be able to reduce chaos in one small location like your desk, the very work you do creates more mess for the rest of the universe." "It's a law of physics," Frank continues. "The hard truth is that the universe itself is dead-set against our long-term efforts to bring order to the chaos in our lives. That's because the universe loves chaos." Messy people are undeniably adaptable. The spontaneous ability to focus on the task at hand without getting mired in the minutia of their surrounding environment is a skillset that denotes a bird's-eye approach to problem-solving. Making order out of chaos, thriving among a disordered cosmos, is in effect survival of the fittest at its best. Change is the only constant in this life; may as well embrace it. Next up: Why going outside of your comfort zone is when the magic happens in your career. This article was originally published on June 15, 2016, and has since been updated.